Are your keys not turning properly inside the lock? Is your lock not functioning as it is meant to be? Do you think your lock is too old? Is your lock too vulnerable to threats? 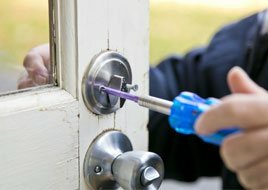 If your answer is yes, to any of the above questions, then it is high time that you think about changing locks. For any type of lock change or lock repair, Galaxy Locksmith Store is the ideal choice to trust in Glendale, CA area. We can change any type of lock and replace it with a high-quality product at a reasonable price.